October 2012—When the United Nations declared 2012 to be the International Year of Cooperatives, they shone a spotlight on cooperative values. But about a year earlier, a housing cooperative near Dudley Square in Roxbury discovered just how much they had in common with Boston Building Resources—including interests in fixing up an old house, making the most of a tight budget, and fostering community. 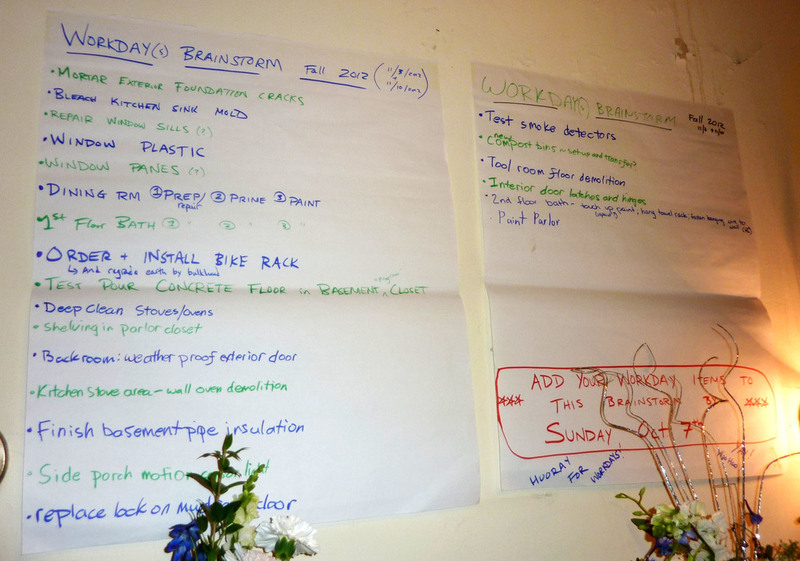 Members of the Lucy Stone Co-op have purchased materials, taken workshops, found tradespeople, and received valuable advice since purchasing their large home in late 2010. Greg Buckland, one of 14 members, points to the house’s historic windows as an example of how working with BBR resulted in significant savings on their energy bills. Several of the windows have been rehabbed and weather-stripped with cushion bronze. In fact, a BBR window rehab workshop was held at the house last fall. Harvey Tru-Channel storm windows have been installed on the exterior, and Tyzall interior storms were added to stop any remaining air infiltration. Member Rowan Van Ness took the Heating Systems workshop and found it eye-opening. “It was incredible. I learned how the system works and how to care for it,” she said. “And I have the language to talk to contractors about work that needs to be done.” One of the first BBR services they utilized was the tradesperson referral file; a plumbing company from the list helped them get their steam-by-gas heating system up and running and take care of other urgent plumbing problems so they could move in. Shortly after that, they purchased fiberglass pipe insulation to reduce the heat being lost in the basement. 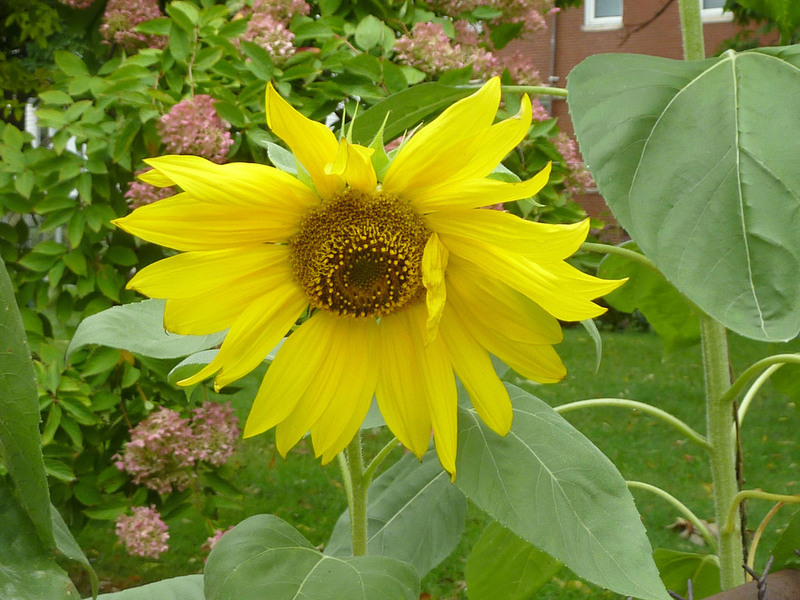 The Lucy Stone Co-op's large house is home to a community of 14 people. Meals are prepared and shared together five nights per week. 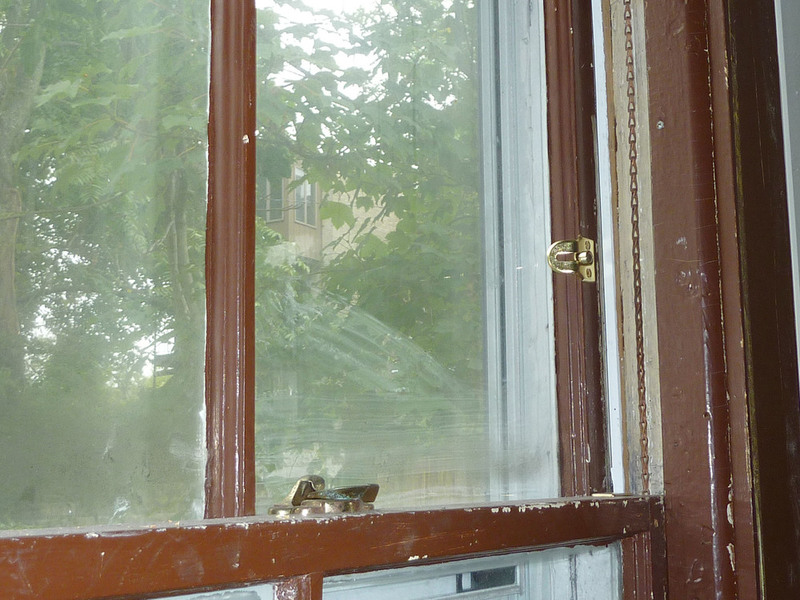 Many windows have been rehabbed and outfitted with sash locks and chain. This second-floor window was rehabbed when the co-op hosted BBR's Window Rehab class. Harvey Tru-Channel storm windows have improved energy efficiency and comfort. Fiberglass pipe insulation has reduced heating costs. Resident Greg Buckland (left) took BBR's tiling workshop. After completing the tiling workshop, Greg tiled this bathroom floor. Sturdy shelving from the Reuse Center has added storage to the basement. Upcoming work days are planned to keep the house maintained. Greg, who has some carpentry experience, took the Tiling workshop last spring and soon put his new knowledge to work tiling the floor in one of the bathrooms. He took the Epoxy workshop as well, and, though he hasn’t done any epoxy work yet, “It’s given me lots of ideas,” he said. The Lucy Stone Co-op is an affordable housing cooperative, so many of the members qualify for Plus discounts at BBR’s Reuse Center. A walk through the house reveals Reuse Center materials throughout: ceiling fans, doorknobs, even the dining room chairs used for Sunday-through-Thursday community meals. In the basement, metal storage racks from the Reuse Center hold residents’ possessions. “The storage racks have made a big difference. They made the space in the basement usable for us,” said Greg. Not surprisingly, with a big old house, members have a long list of improvement projects they would like to tackle eventually. “The combination of products and knowledge, being able to chat with people and ask questions, is something we really appreciate” about BBR, said Rowan.